Are you focused on building your business? Do you need to free up time to allow you to continue to concentrate on your business? Do you have an increasingly expanding list of 'important but not urgent' tasks that just don't get done? And do you find yourself starting a task but frequently end up not finishing them? Apples & Oranges can help you to become more productive in your business by making better use of your time by outsourcing those tasks that are 'eating up' your day. Are there tasks that take up your time, stop you progressing your business in the way you would like to and if you are really honest, don't actually need to be done by you? We can help you by dealing with them on your behalf as part of your team. Whether you would like to supplement your in-house team or turn to Apples & Oranges for your entire outbound sales solution, we can deliver new business and drive your sales. We will create a bespoke campaign for your needs, by getting to know your business, your ethos and your priorities. With over 15 years experience we enhance your business by becoming part of your team. 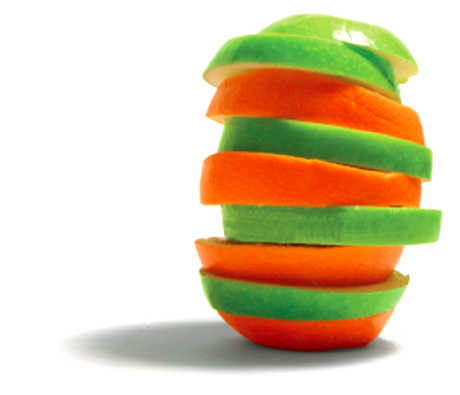 From the smallest meeting to a national event, Apples & Oranges can help you. We are happy to assist you if need a complete event planning service or just help with a particular section. We can be there as much or a little as you need. Our event team will deliver event logistics through a detailed running order for suppliers and the client. We communicate with you regularly and work closely with you to ensure that you get the event that you wanted. We offer a completely confidential mystery shopping service. Are you aware of the service that your competitors offer? Why is it that people are using their company and not yours? What services do you competitors offer? Customer service - do they go that extra mile? Alternatively you may want to reassure yourself that your team offer the service that you insist on? Are they friendly, approachable, knowledgeable, up-selling if/where possible? We can find out for you and give you a full report including areas and suggestions for improvement. Newsflash, Marketing is not a secret, it’s just that a lot of people think it is! Companies either don’t really understand it, are confused by it or think they just don’t need it. The majority of businesses are owned by people who are experts in their particular field, however, that doesn’t seem to stop a lot of businesses failing year after year simply because they don’t know how to sell their product or service successfully. What’s the most important thing for your business? Sales! Without sales what is there? Whether you are a new business building your customer base or a well established business that needs to review the material you are using or even your whole image, Apples and Oranges are here to help. Quite simply, we break the mould, we are here to listen to you, work on a strategy that suits you and your business. Work towards a process to help you understand your customers and their needs, enabling you to build customer loyalty and attract new business. Whether you are looking for a single project or a full campaign, contact us now and find out more. The key to a successful project outcome is all in the planning. The old saying if you fail to plan you plan to fail is right. If you don't have a plan how do you know what direction your project is going, how do you gauge that you are going to meet the required deadline, or finish at all? Quite often project planning is ignored in favour of diving straight in and just getting on with the work. Having a plan can save you money, time and in a lot of cases - problems! Projects can come in all shapes and sizes, some can be fairly simple and others very intricate. We can work on large or small projects whether administration based, research or an event. We are able to complete the whole project or parts of it, depending on your requirements. With over 30 years joint experience in the world of recruitment, we are very well placed to help you and your business through the whole recruitment process. Whether this is the first time you have recruited staff or if you are expanding the team you already have. There is so much legislation surrounding recruitment it can become quite daunting!